At the Star Wars Celebration in Chicago, it was announced that the new Star Wars film Episode IX would be called The Rise Of Skywalker. At the same event, the teaser trailer for the highly anticipated movie was also shown! Check out the -new teaser for Star Wars: Episode IX! I’m a big Star Wars fan, and really enjoyed this first trailer for Episode IX. It looks amazing and gives us a stunning first glimpse of what The Rise of Skywalker will have in store for us. The teaser trailer from Disney had so many great highlights: Rey getting advice from Luke, Rey in a face-off with some kind of TIE Fighter, Kylo battles soldiers in a forest, the Falcon, Chewie, and Lando Calrissian (played by Billie Dee Williams) is seen as well (YAY! ), the late Carrie Fisher appears as Leia hugging Rey (in previously filmed footage from The Force Awakens), Rey stands with Chewbacca, BB-8, C-3PO, Poe and Finn seemingly preparing for battle, and we also hear menacing laughter from Emperor Palpatine! I’m certainly looking forward to seeing how this epic saga in a galaxy far, far away will conclude in The Rise of Skywalker! Star Wars Episode IX The Rise of Skywalker nationwide December 20, 2019. Very cool trailer. I hold out some hope that this film isn’t truly the end of the line. 😦 Even if it is, it sure looks like an epic conclusion! I am so happy to see this trailer. I been waiting for another Star Wars movie. This looks way better than the Last Jedi. I was intrigued by the title of the film as well. Sure it will round off the Skywalker saga in a terrific way. Yeah I agree. There might be a significance to the name. This movie will probably talk about it. I feel like Rey has some connections to the name. I am so hyped! I expect so. Palpatine’s cackling laughter was chilling in the trailer, has he returned from the dead maybe? Is it in a flashback? Going to be so exciting to find out. I’m excited to see Lando and Chewie flying the Falcon, that looks so cool! I was thinking about that. I wonder he’s going to come back and try to either persuade Rey to the dark side or be a mentor for Kylo Ren. I was surprised they back Lando. It’s going to be interesting to see him join the new characters. I also like how Kylo Ren fixed his helmet. Yes, it was quite something to hear the Emperor’s laughter like that. Also to have Kylo repairing his damaged mask. 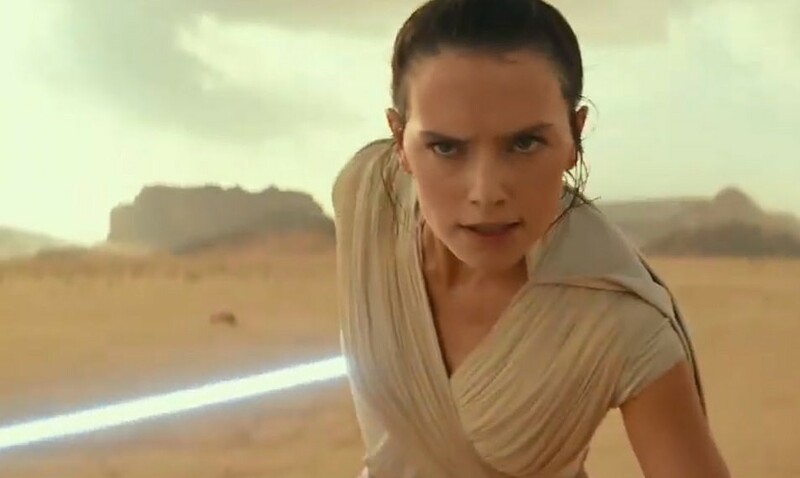 I’m sure Rey and Kylo will have a major showdown in the Rise of Skywalker. Yeah I agree. Kylo wanted Rey to join him in the last movie. I would actually be surprised if not only the Emperor shows up but we get Darth Plagius. Oh yes, I’d forgotten about him as well. Sure seem like this film will bring all the story strands of the Skywalker saga together for this movie. Yeah I been curious about this character since Episode 3. I know there’s a book about him and Palpatine but I haven’t read it. I wonder how much of the past stories are going to be in this movie. I feel like it’s this movie is going to make references to the original trilogies and prequels. I’m glad they have some footage of Carrie Fisher that they can use for the Rise of Skywalker, I’m glad they wont just re-create here with CGI, that wouldn’t feel right to me. Good also to see that C3PO and R2D2 are in the thick of the action, they have seemed a little side lined at times in the new trilogy. Yeah it’s good that they were able to get some scenes with her. If it was going to be done by CGI I bet people wouldn’t like it. I wonder if Luke is going to be in this movie but as a ghost. Yeah I agree with you about R2 and C3. Lately it’s been BB-8 who always goes in the action. I’m hoping for some more epic lightsabre battles as well, can’t wait to see Rey Vs that TIE fighter! Yeah me too. That caught my interest already lol. A most tantalising trailer, I wasn’t a hater of the Last Jedi but I have faith that J.J. Abrams will bring the Skywalker Saga to a fitting conclusion. Oh, yeah! This is definitely going on my TO DO list for Christmas. Thank you for getting me excited about Star Wars again. Two words – Lando’s Back! Lando appearing in the trailer was the best bit for me, great to see him back at the helm of the Falcon with Chewie!